As a family owned and operated business, we understand the value of excellent customer service. Our goal is to achieve your satisfaction down to the smallest detail. We Exceed local building codes for a quality product at an affordable price. Wooden Decks, wooden Patios as well as Stamped and Stained Concrete. Our custom patio covers are built to match your home. We won't send out a sales person that you will never hear from or see again. We will design your custom patio cover so it looks like it was built with your home, manage, and supervise your project from the beginning to the end. 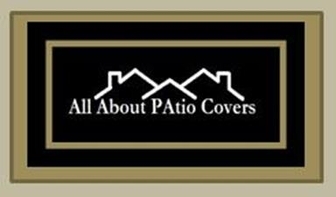 Whether you need a custom patio cover built and already have concrete as in the pictures to the right and below, or you need standard, or beautifully stamped and stained concrete, All About Patio Covers can handle all phases for your outdoor living area from beginning to end!